Are you planning to pop the question to your partner with the most beautiful and meaningful ring that truly reflects you as a couple? If yes, then you have found your everlasting charm both in the form of rock and of course your better half. Now, comes the excusable but very special part that will begin your love with sincere effort and a thoughtful promise that is expressed from the box which encases the ring. 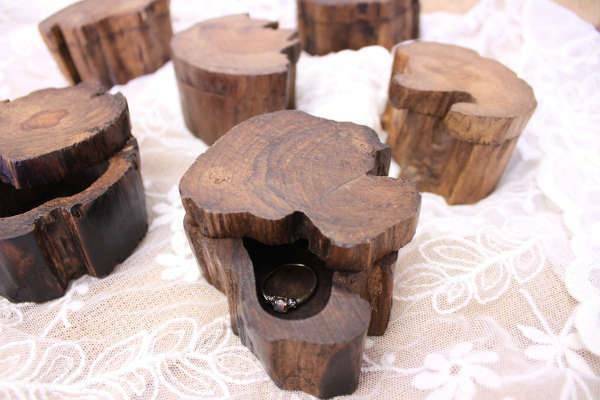 Today, we provide you with the 9 most beautiful ring boxes that will be no less than an extraordinary delight on your wedding day. The Belladora ring case gives a slim and sleek twist to the obvious square and bulky ring boxes. The ring box will easily allow you to conceal the ring till the wedding day. Each case is handcrafted in American Walnut timber with a size that can comfortably fit in your pocket. The little holder inside the box allows the ring to shine out as a crown every time you open the box. 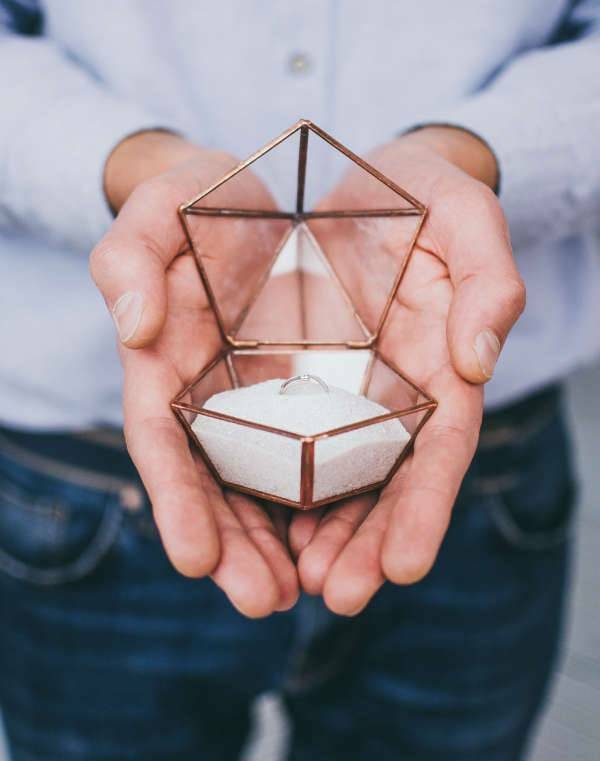 This beautiful geometric ring box with white sand is one of the special and sleek choices to place your ring. Put the ring in the white sand and it will look no less than a dreamy picture. The terrarium finishing is available in three colors- black, copper, and silver. This wooden ring box can be custom engraved with the initials and the date. 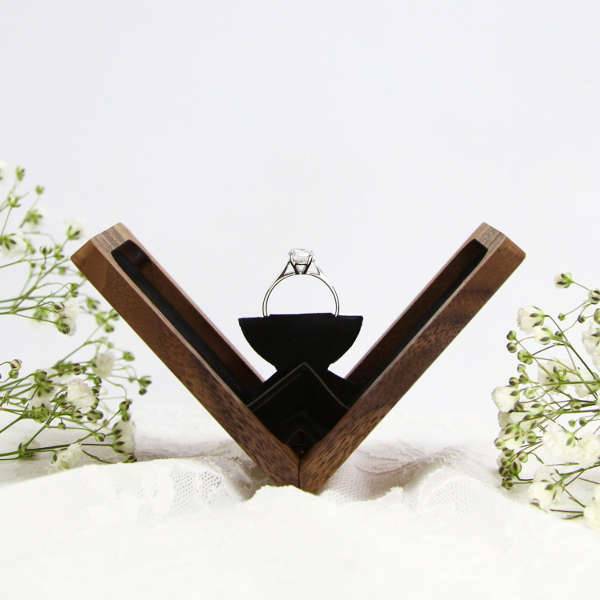 Helping you bring a rustic presence to your wedding photos, the box is one of the best options to hold a traditionally styled ring or wedding bands. Blending style with quality, this vintage box features centuries-old ceramic-crafting which is beautifully supported by an elegant ring pillow at the base of the box. You can even choose to go for embroidered pillow for bringing a handmade touch to your ring box. It would definitely complement your vintage engagement ring. 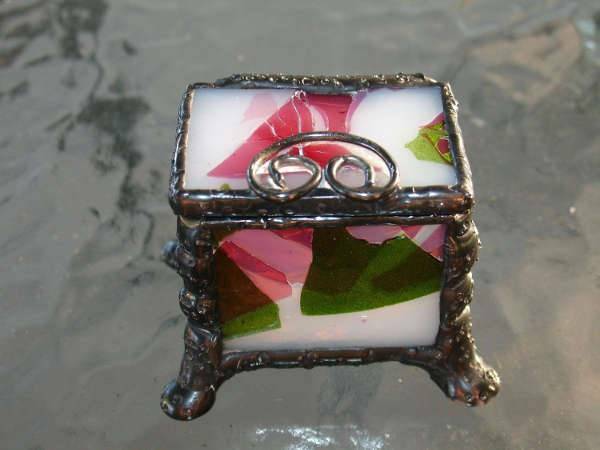 This little ring box comes with decorative soldered formed feet. The solder has been hammered to give the box a unique look. 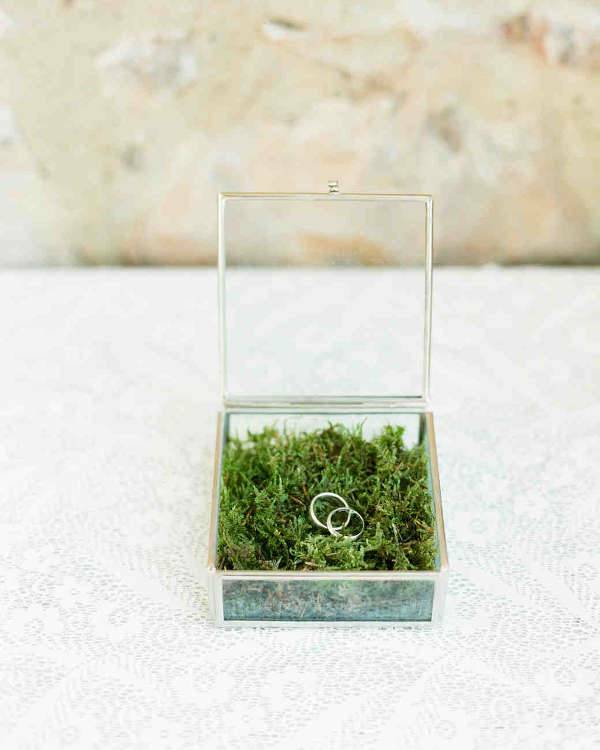 This tiny box is one beautiful and colorful option to carry and protect your wedding ring. 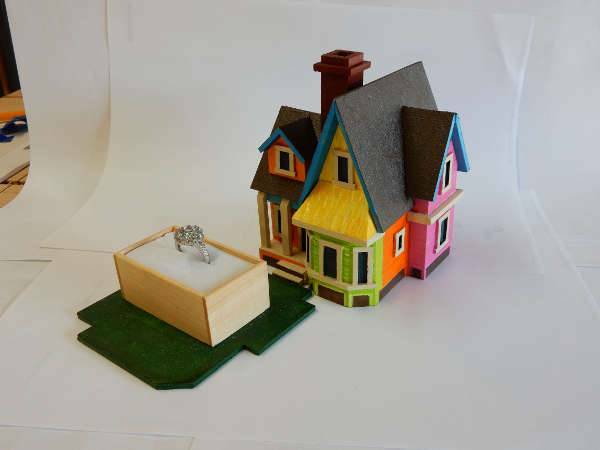 If you and your partner like many of us call yourself as dedicated and diehard fans of the animated movie- UP, then this UP house engagement ring box is one colorful option to place your ring and also attach a sweet emotional connect to your wedding day. 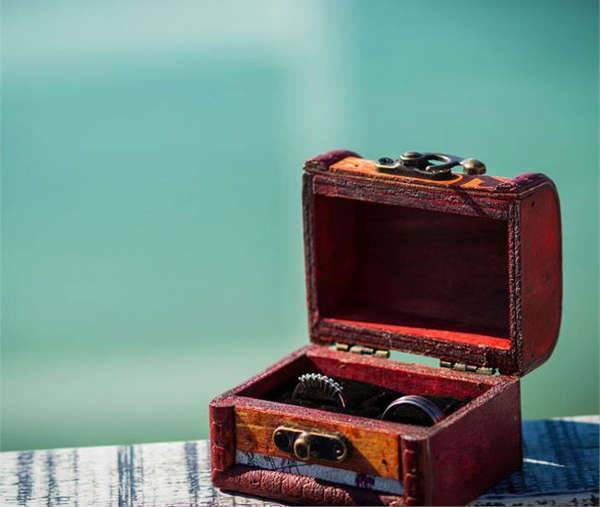 This beautiful mini treasure engagement ring box is perfect to bring an added and quirky edge to your wedding invitation box. The box is even perfect for the couple who love to travel. To make it more romantic, just make sure you have a sculptural design ring like the ones here. This glass case is a perfect choice for an engagement box if you want your rings to be on open display. You can customize the inside of the box with moss to express the natural vibe or keep it classy with a pillow. 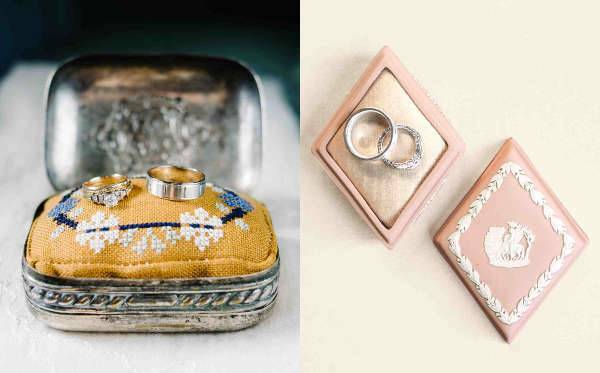 If you have a vintage themed wedding, this purse inspired engagement ring box can serve as a beautiful case to carry the ring and also keep it safe in a classic and vintage manner. Pick the one that best reflects your style and make the wedding ring box more than just an ordinary case.